Below we have listed great practice plans applicable to each division. US Youth Soccer has laid out an entire season of plans. Please click on links for more information! Why Small Sided Games? - have you ever wondered why kindergartners don't play 11v11 soccer? US Youth Soccer YouTube Video Resources - do you prefer to learn by watching? Check out these great YouTube videos! US Soccer F License - first step on your coaching path - this course is not required though highly recommended. It is entirely online and should take about 2 hours of your time. 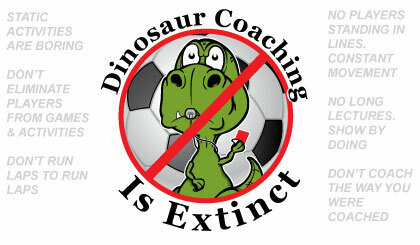 It is intended for ALL parents/coaches of youth players. The focus of this grassroots course is to share U.S. Soccer's best practices in creating a fun, activity-centered and age-appropriate environment for 5-8 year old players. *There is a small fee to register for the online course. Simple Goalkeeper Training Drills - great for any age!